Small drops, large drops, long drops. 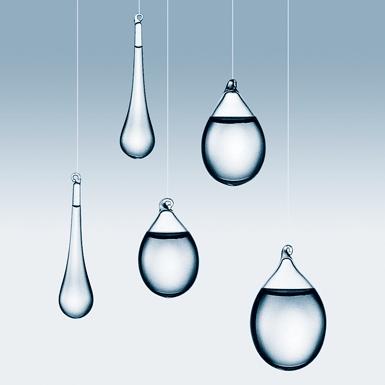 Water-filled, glass drops. They have also made Roberto Niederer famous.